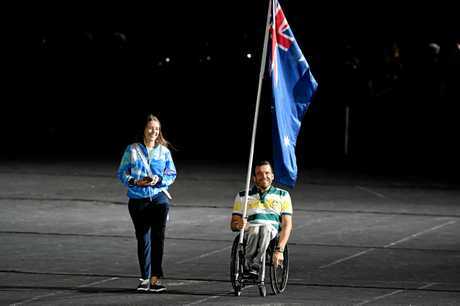 IT WOULD have been easy for Kurt Fearnley to just thank the right people and mouth a few polite platitudes after becoming the first athlete with a disability to win The Don Award. But Fearnley doesn't do easy. This is the man who took time out from a peerless career as a wheelchair racer to crawl the Kokoda Track. He has also found time to be part of a winning Sydney-to-Hobart crew. His racing CV includes three Paralympic gold medals, seven world titles and 35 major marathon victories. But the 37-year-old has never lost sight of what is really important - and how his sporting prowess gives him a unique platform to advocate for people with disabilities. So it should really come as no surprise that Fearnley's acceptance speech to the Sport Australia Hall of Fame function on Thursday night was about so much more than sport. "I have to point back behind me to the generations of proud men and women with disabilities who allowed me to become the person and athlete that you see fit to receive this award," he said. "An athlete whose sport has been born out of the back fields of rehabilitation hospitals. "That was created by men and women who had the desire to see not only what was physically possible but was humanly possible. 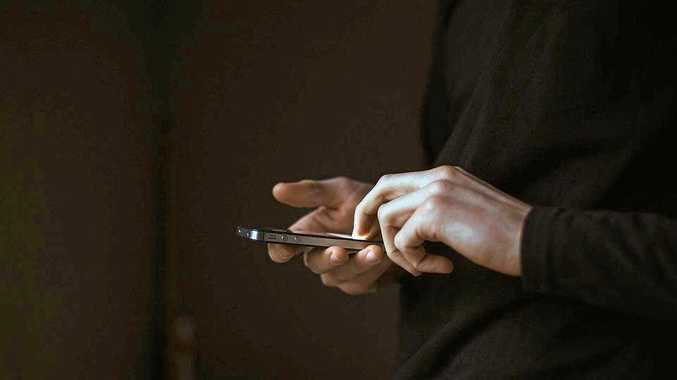 "I've heard the stories of Paralympic forebears who speak about losing friends, who felt too much shame in their experience with disability - and that is within our own community. "There was too much shame and there wasn't enough hope. "So our sport was born out of that hope. Hope that somebody can be judged by substance and not image. That the difference that we each hold can be celebrated and not used to be segregated." Fearnley was born with sacral agenesis, with doctors believing he would not live for longer than a week. 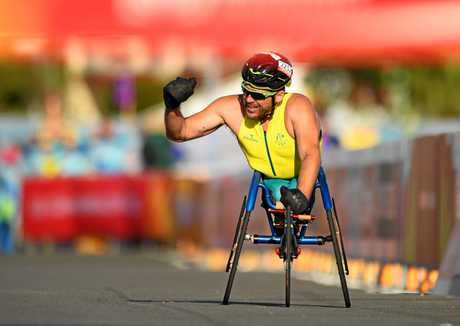 But he defied that prognosis, playing a wide variety of sports from a young age while growing up in the small NSW town of Carcoar before choosing to focus on wheelchair racing. Fearnley wasn't present for the annual SAHOF function in Melbourne, having chosen to spend time in the US with wife Sheridan and young children Harry and Amelia after racing in the Chicago marathon last weekend. But his speech still held an audience of Australia's sporting greats, and luminaries from the worlds of politics and big business, spellbound with its messages of hope and inclusion. "Through the medium of sport that's what our movement represents - hope," he said. "Hope, that if sport can adjust to include those with disabilities, maybe the community can follow. "And when our community is shifting to this idea of perfection where life, within even a picture, is filtered within an inch of humanity. "Our movement has greater importance than ever because the image of perfection isn't real, it's not sustainable and it's not healthy. "And our ability to share beauty and strength in this perceived imperfection, it just cannot be matched. "I fundamentally believe that sport can lead this country and I believe the Paralympic movement is a jewel within the sporting crown." Fearnley also called for people with disabilities to be given more opportunities in sports administration and governance, as well as on the fields of play. "Let's lead the way. We won't regret it," he said. "There is strength and substance in this community, enough to build a country on. "Sir Donald Bradman once said that athletes who receive recognition, they also have a duty to mankind. "Well I am honoured to receive this recognition and I am honoured by The Don Award and I will do my best to be worthy of it." The Don is awarded annually to the athlete who most inspired Australia, with Fearnley edging out seven other finalists including Matildas striker Sam Kerr and motor racing stars Daniel Ricciardo and Will Power. 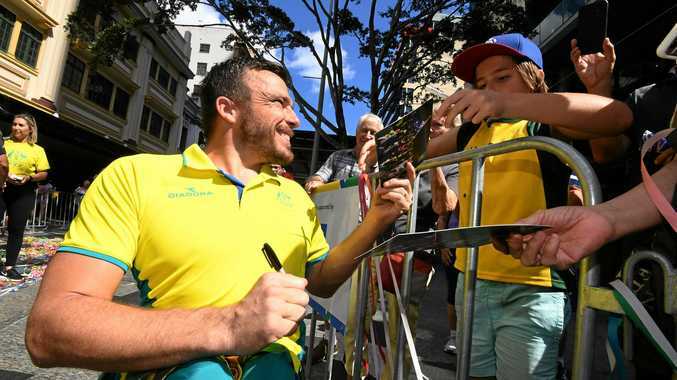 Fearnley won gold in the marathon and silver in the 1500m at the Gold Coast Commonwealth Games on his international swansong in the green and gold. He joins previous winners of The Don Award such as boxer Jeff Horn, swimmer Grant Hackett, spinner Shane Warne and athlete Sally Pearson. The late Richie Benaud OBE was elevated to Legend status in the Sport Australia Hall of Fame, with Allan Moffat OBE, Harry Kewell, Darren Lockyer, Wendy Botha, Robyn Maher, Gai Waterhouse, Sam Coffa and Drew Ginn inducted as members.